Hello, and welcome to my site about rowing! My name is Kara and I am a former treadmill junkie turned rowing enthusiast. About two years ago, I hurt my knee in an accident. My doctor said I had to give up the treadmill because it would be too hard on my knee. Needless to say, I was devastated. The treadmill was my baby at the gym,and I really enjoyed running. Keeping in good shape is very important to me, and I couldn’t image how I would manage to do that without the treadmill while having a bad knee as well. And then my sister suggested I try indoor rowing because it doesn’t stress the joints. Indoor rowing? Really? What good will sitting on a machine and pulling a cable do? 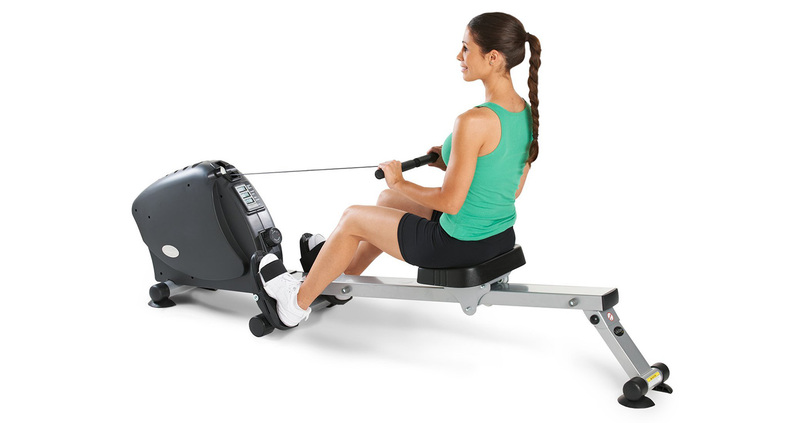 I had been rowing on the water a few times when I was a teenager, and it was fun, but would I really be able to get a good workout on an indoor rower? Looking back, maybe I was just gun shy. Anyway, after some time of not exercising and being very unhappy, I decided that it wouldn’t hurt to give it a try. Well, the rest, as they say, is history. I was hooked from my very first rowing session! It took me all of 5 minutes to nail the proper form that the instructor at my gym showed me and then I was off like there was water on the gym floor. So I have been rowing for a few years now and I decided that I now want to row at home. Thus began my search for the perfect rowing machine for my apartment. As I began to look for a rower I quickly realized just how many options there are! I dug deeper into the world of rowing than I have ever been and I found all kind of information, but it was scattered all over the Internet. That’s when I got the idea to put together this website and put all the data in one place where it would be easier for people just like me who are looking for a rower to buy or who just want to know more about rowing. So there you have it, the story of how this website was born. I hope I have succeeded in creating a site that is informative, useful, and fun to read as well. If you don’t have the time to read through my longer, more detailed reviews, I have put together all the major, noteworthy points for each of the rowers at a glance. This way, you’ll be able to compare them quickly and assess which one could soon find a home on your living room floor. 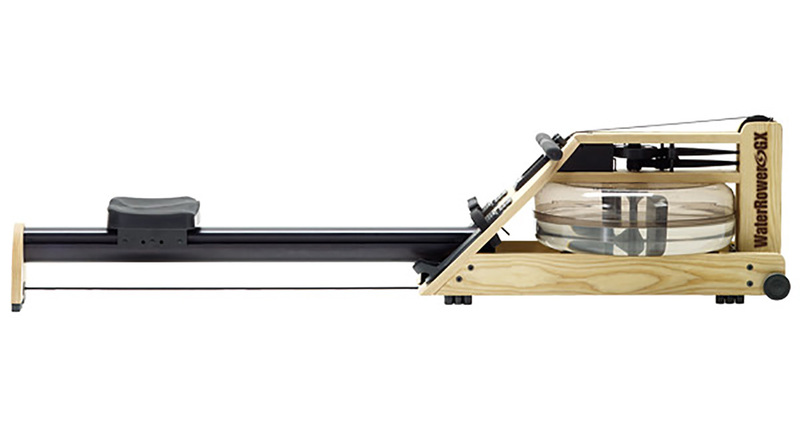 I scoured the Web and found the 16 best rowing machines on the planet. You can benefit from my months of research as I have taken the time (see how nice I am?) to review each one and put all my reviews here so that you won’t have to spend hours on end researching like I did. Read about the different rowers, their strengths and weaknesses, and find the one that’s right for you. Don’t know where to start? You should probably start here. This is where I have gathered all the information that you must know about rowers before you buy one. This article covers the different types of rowing machines, what to look for in a console, and which features can make a rower more comfortable; plus a ton of useful information. The whole point of this website is to make it as easy as possible for you to find information about rowing and the best machines available for home use. In reviewing the 16 best residential rowers on the market, I have sorted them to find the ‘best of the best’. These rowers stand out for one reason or another and their respective titles will let you know why I think they are special and deserve extra recognition. I hope this list will help you to find the rower that will work best for you. 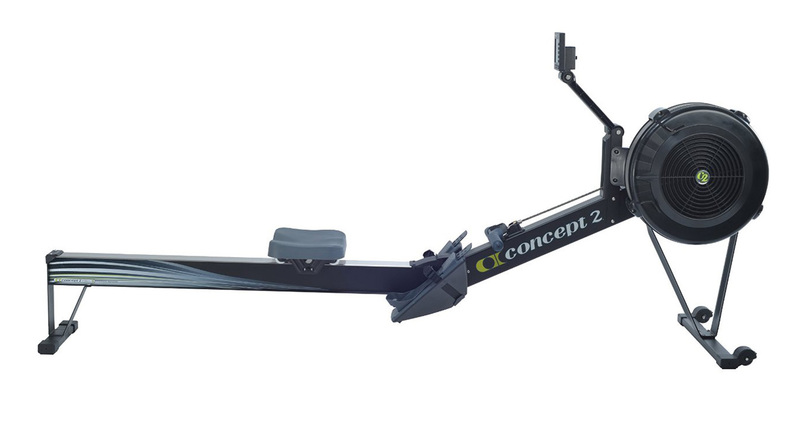 The coveted award for the best overall rower goes to.. (drum roll please) the Concept2 Model D! This is an outstanding rowing machine that beginners and professionals alike can use to get a great workout. To make it even better, when you own one of these masterpieces you become a member of arguably the best online community of rowers on the planet. The WaterRower Club is a beautiful rower that does a fantastic job of imitating the feeling of rowing on the water. This is a well-crafted machine that not only delivers an excellent workout, it is also made with wood from sustainable forests, and who doesn’t like to know that they are doing their part to protect the environment? Most rowing machines come either with a hefty price tag or with soon-to-be-garbage build quality, but the Stamina Air Rower seems to have found the sweet spot right in the middle. Plus, the folks over at Stamina made sure that the Stamina Air Rower has all the features needed to make it super comfortable to use. With padded seats and textured handgrips, it may just be so comfortable that you won’t want to get up! 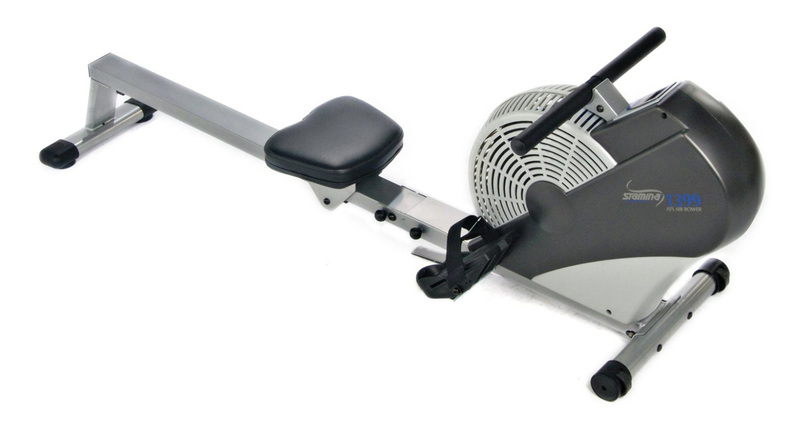 In my opinion, the rower that gives you the most complete workout is the Stamina 15-9003 Deluxe Conversion II. You basically get three exercise machines for the price of one. 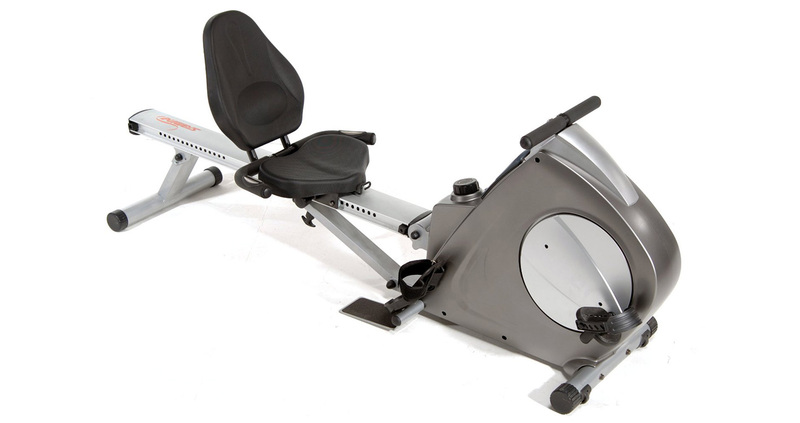 It is a rowing machine, a recumbent bike and a strength training machine all rolled into one affordable package. If that doesn’t say value for money, I don’t know what does. On a tight budget? Not to worry. 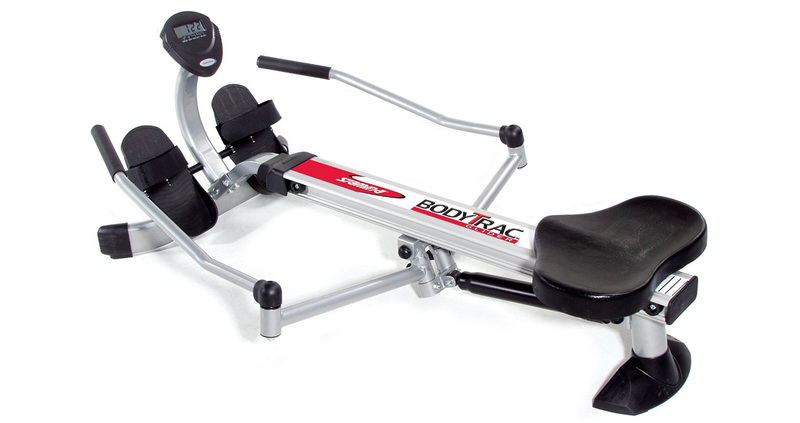 You can still get your full body workout with the Stamina Body Trac Glider 1050. 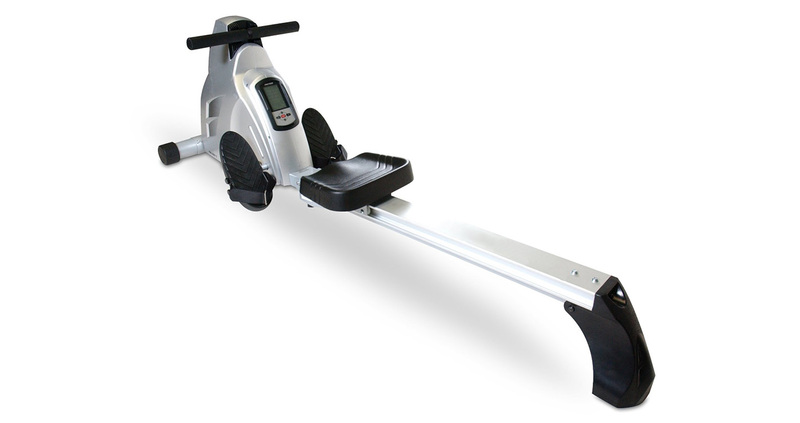 This is a well-made rowing machine from a reputable company, and you can get it for less than $100! It has a console monitor, which is almost unheard of on a rower at this price. Even though it’s low-priced, you won’t be able to tell by the way it performs. It is quiet, comfortable, and easy to use. Innovative is not normally a word used in the same sentence with rowers a lot. Rowing machines have been around for ages and, aside for a few bells and whistles here and there, they are essentially the same. That is except for the Lifecore R100 Commercial. 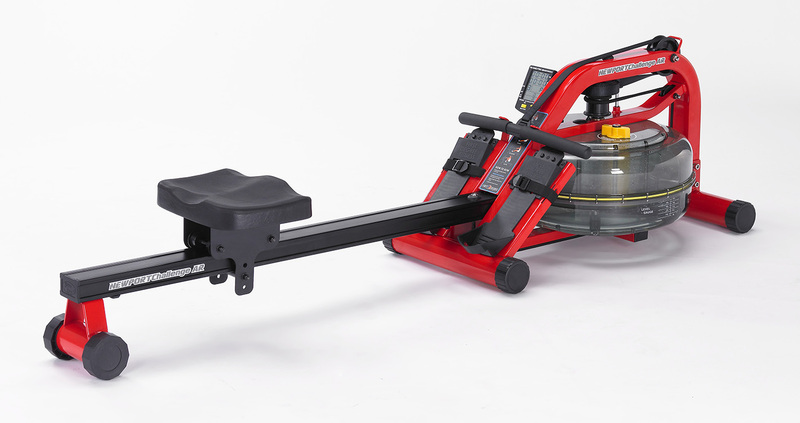 This one earns the title of most innovative rower because it is the only one that combines both fan and magnetic resistance. This rowing machine successfully combined these two resistance types in a rower that is not only innovative, but effective as well. If you are looking for a rower that is so quiet you can use it even when a baby is sleeping in the next room, look no farther than the Stamina Avari. This is a magnetic resistance rowing machine and because of its almost silent operation it is a favorite among rowing enthusiasts who like to watch TV during workouts. To make it even better, the Stamina Avari is easy to use and folds up for storage. As the saying goes “beauty is the the eye of the beholder” and when I saw the First Degree Fitness Newport, I saw beauty for sure. Maybe it’s the brilliant red color, but I just love the way it looks. It is the kind of rowing machine that you want to leave out on display so that your guests can see it when they visit. It is also a high performance rower with a host of features like a multifunctional monitor display and very comfortable seats, to help you get the most out of your workouts. Hydraulic piston rowers normally have two handles to mimic using ‘oars’ when rowing out in open water. 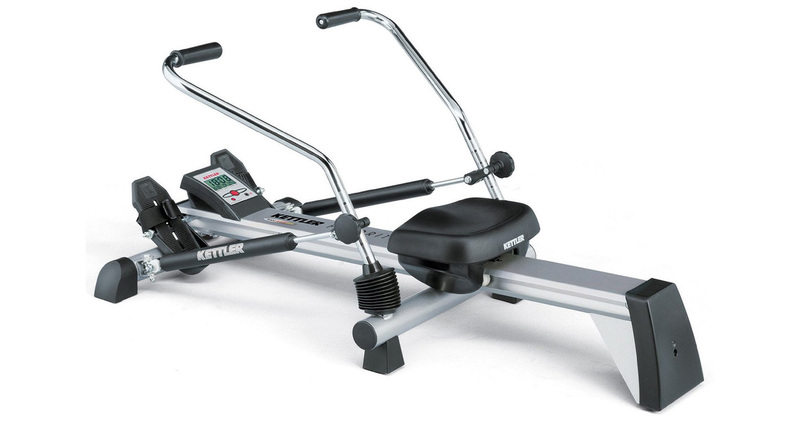 The Kettler Favorit Rowing Machine gets my vote for the best hydraulic piston rower as it is not only very effective at replicating the feeling of using oars, but it is also beautiful, solidly built and very easy to use. Confused about the different types of resistance that you can get on a rowing machine? Fear not! I am here to help make it all clear for you. In this article I will go through all the resistance types and explain each one in detail. You will learn about the benefits of each type and how they can affect your workout. It is essential that you maintain proper form when you are rowing. Doing otherwise can result in injury, and we certainly don’t want that! For people who are new to rowing or who are just unsure about the right way to row, this article explains the correct form and the four positions of the stroke technique. If you are on this site you probably have some idea that rowing is good for you, but do you know exactly how? Rowing gives you a full-body workout, and this is where I discuss the most common health benefits like weight loss and muscle building, as well as how you can get the most out of your workout. For those of you who are still not sure if you should get a home rower or some other type of fitness machine, I have written this article. It compares the benefits of rowing to the benefits of the most popular exercise machines used in homes today: the treadmill, the elliptical trainer and the exercise bike. Find out which one is best suited to help you achieve your fitness goals. I really hope you found the reviews and buying information here on my site to be helpful. That was my goal after all, to put all the information about rowers in one convenient place and save people the time and effort they would send searching all over the Internet otherwise. I hope I was successful in answering some of your questions and maybe even helping you to find your perfect rower so that you can get to working out and keeping that body of yours healthy. I wish you all the best in your rowing endeavors!